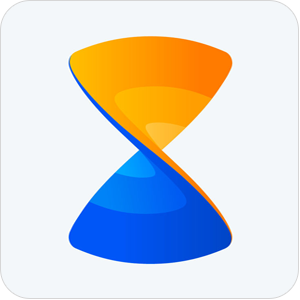 Xender is a very popular application for media and file sharing on smartphones. This application is available for different operating systems like Android iOS and windows. The size of Xender is very small and it has lower requirements for all the different functions it is capable of. The application is very popular and has been one of the top free apps available on the Google play store. The type of files that can be shared using this application includes all the supported and unsupported formats. Music, videos, documents, apps and all the files and folders on your device can be sent to any other devices using Xender. The only requirement is that the receiving and sending devices both need to have active Xender and WiFi feature. File transfer is wireless and no physical connection is needed for the transition. This method of file sharing is revolutionary and makes data transfer easier than ever as it becomes faster and easier than other means like Bluetooth and airdrop that are known old methods of file sharing. Multiple files can be shared at a time with fast file transferring speed and no error in the process. The group sharing feature is also available in this app that allows users to transfer files to more than one user. Multiple people can receive files at the same time from a single sender making the work of sharing individually easier. A very unique and useful feature provided by this application is phone cloning that is helpful for sending all the data of one phone to another phone. The user can switch phones or upgrade to a new device without worrying about data loss or transferring data from an old phone.